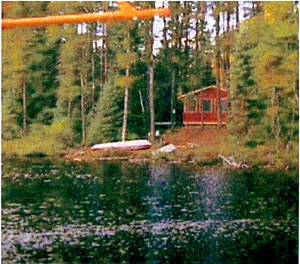 Narrow Lake is 2 miles long & ¼ mile wide, the average depth is 20 to 30 feet. 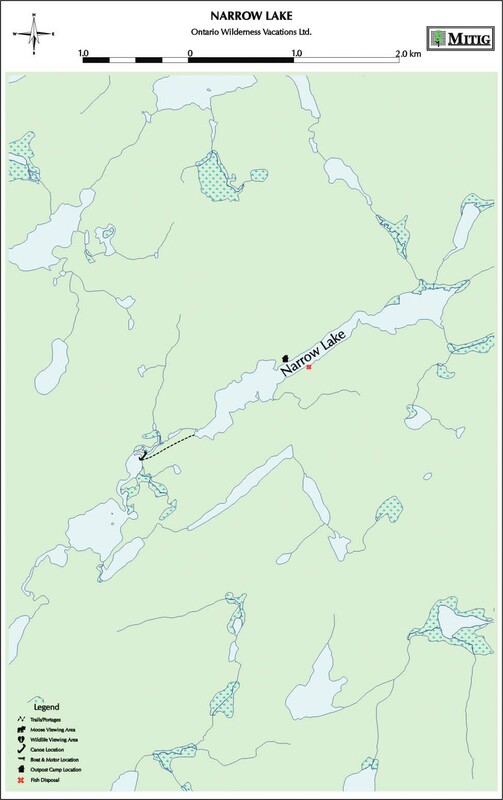 As the name suggests, Narrow is a long skinny lake with a rocky shoreline and many weedy areas. Consistent Northern Pike fishing between 5 and 10 pounds with the occasional one up to 40 inches. South End Lake -15 minute hike from Narrow Lake. Walleye & Northern Pike.